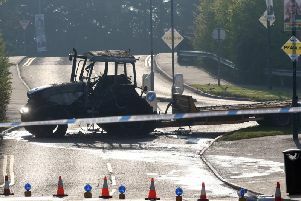 Police in Lisburn have appealed for witnesses after a car was damaged and parts taken. On the Lisburn PSNI Facebook page, they posted: “Were you in the area of the Civic Centre Car Park, Hancock Street, Lisburn between Friday, September 30 and Monday, October 3? “A White Vauxhall Corsa parked in this area had its front bumper, bonnet and radiator stolen. “Did you see anything or anybody suspicious in this area or did you notice this vehicle?